Reigning regional Bronze Waistcoat champion Adam Gallen won the first Exeter Bronze Waistcoat event of the season with a 2-0 victory over much improved Jay Bullen in the final. The tournament was run using the 6+6 reds format which provided some interesting results in the group matches. In the semi final Gallen had a tough match against Will Blackmore, after losing the first frame Blackmore cleared with a fine 37 break to level the match. Gallen responded well to win the next frame a match 2-1. In the other semi fimal Bullen made light work in beating tough opponent Michael Rogers from Taunton 2-0. In the group stages Gallen suffered a first match blip in losing to Adam Chadwick. However, he recovered well to top the group with 8 out of 10 out scoring his peers with a string of modest breaks (36,24,22,22,22,20). Rogers came second just one ponit behind. Blackmore third and Bullen qualified in forth place. The best break of the day was a fine 37 clearance by Blackmore. The event was sponsored by Baulkline Snooker SW and hosted by GWRSA Social Club, Exeter. Michael Rogers won a classic final against Jay Bullen in the second event of the WEBSF Exeter Bronze Waistcoat. Rogers snatched a close first frame aided with a break of 23. In the second frame Rogers posted a 26 break and looked in total control. Bullen’s response was swift and clinical as he matched Rogers break with a 26 of his own taking the frame with dogged determination to level the match. The deciding frame was nip and tuck until Rogers pulled away with a 25 break to win 2-1. This win moves Rogers up into top spot in the overall ranking table. In the semi final Rogers met Adam Gallen who despite struggling in the qualifying stages started to play well, posting a 29 break to win the first frame. Rogers fought hard to win the next two frames with countering breaks of 37 & 24 to win 2-1. The other semi final was won 2-0 by a very much in-form Bullen against Will Blackmore. Bullen recording a 24 break potting everything in sight. In the group qualifying stages Rogers and Blackmore could only be separated by frame aggregate points count-back, Rogers taking top spot and Blackmore second. Rogers posted breaks of 50,27,24 & 25 and Blackmore 29,26,22,22,22 & 20. Third place went to Gallen who made breaks of 47,32,26 & 22, forth place to Bullen with breaks of 31,27,25 & 25. Ben Mills found the competition tough on the day but never gave up trying and was rewarded with a frame winning 22 clearance. Mel Berry the Tournament Director was heard to say “The overall standard of play throughout the day was the best I’ve seen in the 4 years of Exeter Bronze Waistcoat tournaments, all players made breaks and the 50 made by Michael Rogers was the icing on the cake”. The event was sponsored by Baulk line Snooker SW and hosted by GWRSA Social Club, Exeter. Will Blackmore won through some excellent snooker to win the third Exeter event of the West of England Billiards & Snooker Bronze Waistcoat against current regional champion Adam Gallen 2(21&30)-1. Gallen who was finding the going tough battled well to reach the final and take Blackmore to a deciding frame. The best breaks of the day where 48 & 52 from Jay Bullen. The 48 break came in the semi final against Blackmore. Bullen looked well place to win the frame but Blackmore stole it on the colours and took the next to win 2-0. In the other semi Ben Mills played well to take Gallen to the colours in both frames. However, Gallen’s experience carried him through to the final. Mel Berry the Tournament Director said “We have had different winners in the first three events which makes for an exiting spectacle. The tough competition between the players will hone their game for the end of season regional finals to be held in May.” The event was sponsored by Baulk line Snooker SW and hosted by GWRSA Social Club, Exeter. Jay Bullen has won the latest in the series of WEBSF Exeter Bronze Waistcoat tournaments. Bullen not only beat seasoned Bronze player Will Blackmore 2-1 in the final he posted the best break in the series so far, a fine 64 break. The final was a credit to both players with Bullen winning the first frame with the 64 break only for Blackmore to level at 1-1 with a 30 break. With both players playing superb safety play Bullen took the final frame for victory. In the semi finals Bullen beat Michael Rogers (Taunton) 2-1 in another superb match of quality matchplay snooker. Bullen making a 34 break in the second frame after Rogers had made a 23 to take the first. Blackmore made light work in beating Ben Mills 2-0 in the other semi final. Mills showed signs of much improvement to get to the semi’s. In the group stage Blackmore reigned supreme losing just one frame to take top spot. Rogers came second with a string of 20+ breaks. In the first frame of the day Bullen sent out a clear message on intent posting a 30 and 40 break on his way to third qualifying spot. Mills took the final qualifying spot thanks to an excellent win over Bullen. Mel Berry the Tournament Director said “Every tournament we see improvement, this tournament we saw a superb 64 break along with some of the best safety exchanges to date.” The event was sponsored by Baulk line Snooker SW and hosted by GWRSA Social Club, Exeter. Adam Gallen came good when it counted. 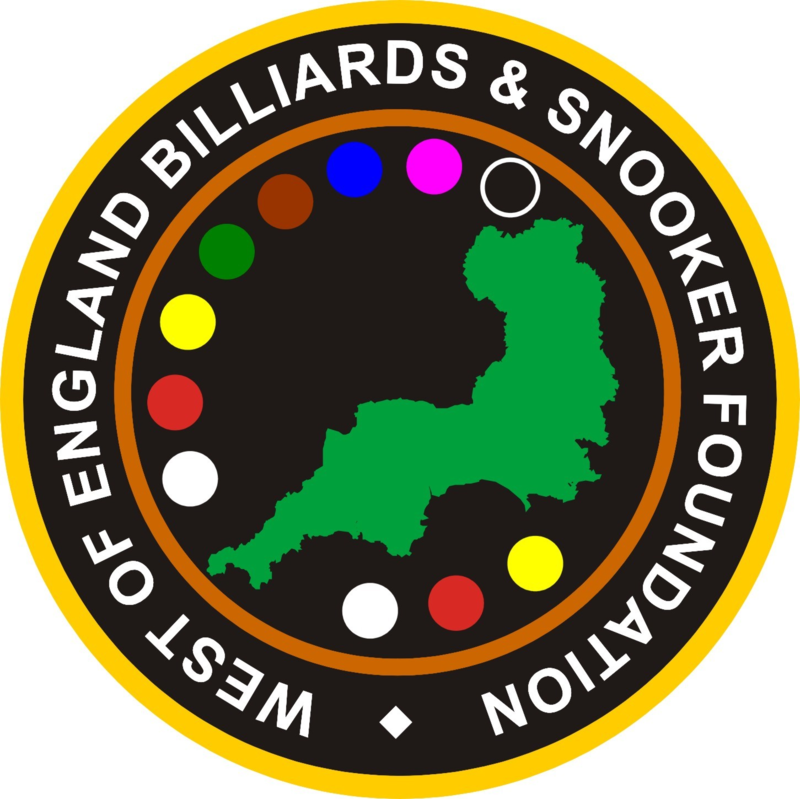 Gallen won event 5 of the West of England Billiards & Snooker Foundation Exeter Bronze Waistcoat. He took the first frame on the colours with a couple of well timed pots. He stepped up the pace in the second with some aggressive potting on his way to posting a fine 31 break and a 2-0 win over Michael Rogers from Taunton. Going into the final event next month there are four players challenging for the Exeter title and places in the regional finals. The semi finals saw Rogers play competent snooker to bring to a halt a rich vein of results from the former event winner, Jay Bullen. Rogers blended good safety play with consistent potting to win 2-0. In the other semi final Gallen out-potted Will Blackmore to win 2-0. Gallen, who had displayed some indifferent form in the qualifying stages, held himself together well to book his place in the final. Mel Berry the Tournament Director said “It’s good to see such a close contest this year. Any one of the four top ranked players are good enough to win the title.” The event was sponsored by Baulk line Snooker SW and hosted by GWRSA Social Club, Exeter. The final event of the West of England Billiards & Snooker Foundation Exeter Bronze Waistcoat was won by Will Blackmore who beat Michael Rogers (Taunton) 2-0 in the final. With the this being the final event of the series it was between the finalists as to who would win the Exeter series title. Both players had chances in the final but it was Blackmore’s potting along with two slices of good fortune in the final frame that won him final event and with it the title of WEBSF Exeter Bronze Waistcoat Champion. The top four ranked players plus a wild card now travel to Plymouth to compete in the Regional Finals on the 30th May. The other players that qualified are Jay Bullen, Adam Gallen and Adam Chadwick. In the semi final Rogers beat Bullen 2-0 and Blackmore beat Gallen by the same score line. In the round robin stages tournament favourites Gallen and Blackmore both got off to fliers. Gallen beat Chadwick and Bullen comfortably. Blackmore not to be out-done followed suit with wins over Chadwick and Rogers. Both players were to be stopped in their tracks, Gallen fell to Rogers and Blackmore lost to Bullen. The latter stealing the game with an excellent 34 clearance after a fluked red. With both players pride taking a dent the following game between them was to prove a tense affair. In the early stages both missed good opportunities to score before Gallen took control and build a lead with solid potting and well executed safety play. Blackmore clawed his way back into the game only to see Gallen fluke the pink to win. Bullen and Rogers both started slowly but got better as the tournament progressed. Bullen had back to back wins against Blackmore with the aid of a 47 break and Rogers found some consistent form in his latter matches with back to back wins over Gallen. With points between the top four in the rankings being very tight every frame win proved vital in deciding the Exeter champion. It was Rogers that took top spot in the group stage on aggregate points count back, followed by Bullen, Gallen and Blackmore. Mel Berry the Tournament Director said “It’s been another good series ending with any one of four players competing for the Exeter title. I am confident any one of the players going to the regional finals can lift the overall title if they continue to perform as they have done all season.” The event was sponsored by Baulk line Snooker SW and hosted by GWRSA Social Club, Exeter.